No matter how hard you try, winter fashion eventually always ends up being a mash-up of sweater outfits. 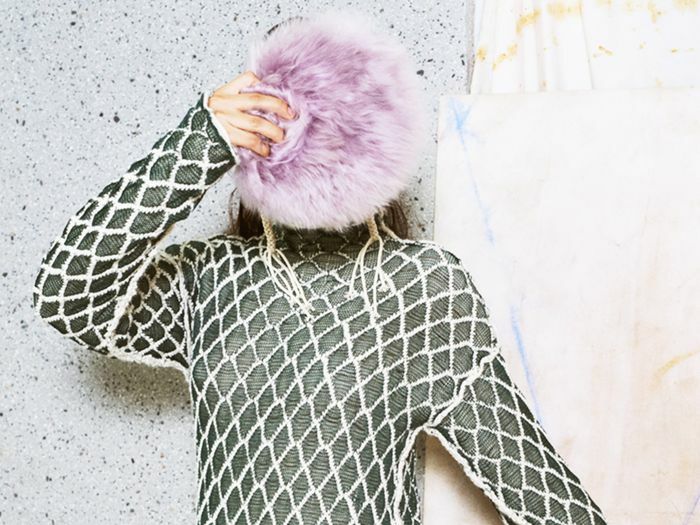 Instead of heading to Zara and Ganni (both retailers we love, don't get us wrong) for the sweaters almost everyone will have, we are here to educate you on some knitwear brands that are cool and still under-the-radar enough to ensure no one else in your friend group will have them. We're all for a massive sweater haul at a go-to affordable retailer, but for those knitwear pieces that will have everyone talking, there are other destinations you should check out first. Ahead, we rounded up eight knitwear brands that are making moves in their niche market space. Some were started by stylists who could never find that perfect thin knit, while others began as a means to keep local farms afloat, but if there's one thing these brands have in common it's the fact that they are all designing sweaters that are undeniably unique. And this winter, that's all we're looking for. Mozh Mozh is an up-and-coming brand that works with artisans safeguarding Peruvian textiles and techniques. "We are interested in using the highest-quality materials such as alpaca and cotton which are native to Peru. We seek to innovate with traditional techniques and continue to forge working alliances with artisans of native villages," a brand representative tells us. If you love the sweaters below, you'll like the accessories just as much. JoosTricot was founded by stylist Natalie Joos as she felt that simple fitted sweaters were missing from her wardrobe so instead of facing this predicament season after season, she decided to design her own, and we couldn't love them more. Alanui in Hawaiian means "large path" and is reflective of the intention of the brand, as established by founders Nicolò and Carlotta Oddi. Travel and companionship are meant to be your destiny while wearing this knitwear brand—or just snuggling on the couch. Eleven Six exclusively uses yarn that is natural, sustainable, eco-friendly, and ethical while producing knitwear that is forward and stylish. Thanks to the alpaca yarn, these might be some of the warmest sweaters you'll have in your closet. Founded by partners Jed Krascella and Ashley Leeds, Jed was originally started as a means of introducing a fresh point of view to the luxury category. The quality of knitwear is unparalleled, but so are the quirky yet wearable designs. Nicole Leybourne founded The Knitter alongside her tiny team of had knitters in New Zeland. The yarn in these sweaters is sourced from "happy sheep and giddy goats" that belong to local family-run farms according to the brand's website. The result is chunky and colorful sweaters you will want to wear all season long. Kowtow is a brand celebrated among the slow-fashion community. Everything from the non-monsato cotton seeds to the Bluesign dyeing process is environmentally responsible. Pixie Market is the affordable retailer you might not know about but definitely should. While not necessarily known for its knitwear selection, the sweaters churned out by this site are always on-trend and affordable. Next up, shop the sneaker trend that's blowing up at Zara right now.